We’re excited to announce the latest round of speakers for the first-ever TechCrunch Disrupt Europe conference, to be held in Berlin later this year (26-29 October). Disrupt Europe will feature an outstanding slate of global startups, influential speakers, guests and a Startup Battlefield where Europe’s best new companies will launch for the first time publicly. Aaron Levie co-founded Box with friend and Box CFO Dylan Smith in 2005. The Box mission is to provide businesses and individuals with the simplest solution to share, access and manage their information. Aaron is the visionary behind Box’s product and platform strategy, which is focused on incorporating the best of traditional content management with an easy to use user experience suited to the way people collaborate and work today. 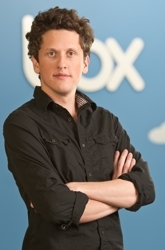 Box is one of the fastest growing companies in enterprise software, used by more than 15 million individuals and 150,000 businesses worldwide.Aaron studied business at the Marshall School of Business at the University of Southern California before leaving to found Box. Errol is a global entrepreneur and seasoned executive who loves building innovative businesses with inspirational people. He is the founder and chief executive officer of digital finance company, Wonga.com, a London based company which is backed by some of the world’s leading VCs including Accel, Balderton, Greylock, Oak and the Wellcome Trust. In the past couple of years Errol has been named Entrepreneur of the Year at the UK’s Growing Business Awards, The Guardian’s Entrepreneur of the Year, Founder of the Year at the The Europas European Startup Awards, Ernst & Young Entrepreneur of the Year for London and Digital Entrepreneur of the Year. 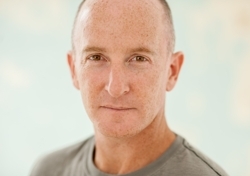 Prior to founding Wonga, he successfully co-founded two other substantial businesses, on different continents and in completely different markets. Most recently he was founder and chief executive of Supply Chain Connect Ltd, which he developed to become a leading provider of hosted supply chain collaboration solutions. With offices in the UK and US, the company serviced over 250 blue chip customers – including General Cable, Pirelli, Dow Chemical and DuPont – and was acquired by ChemConnect in 2005. Wonga is undoubtedly Errol’s most ambitious project yet. It is the first company in the world to fully automate the lending process and approved loans are usually paid into bank accounts within minutes. Not only does Wonga provide our small loans in a clear and flexible manner, but it is highly selective about the people and businesses it helps. To date the company has provided over five million loans and helped over one million customers. Errol grew up in South Africa and following graduation from business school, he became an investment banker and, while helping entrepreneurs turn their dreams into reality, was inspired to switch roles and become the innovator. 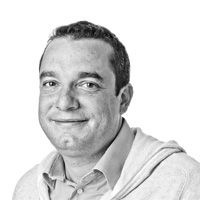 Neil Rimer is a Partner of Index Ventures which he founded in Geneva with Giuseppe Zocco and David Rimer. Neil started the venture capital activity of Index’s predecessor firm, later co-founding Index Ventures and raising the firm’s first fund in 1996. Prior to this, Neil spent four years with Montgomery Securities in San Francisco. Neil’s current investment interests include Internet media, e-commerce, entertainment and education businesses as well as capital-efficient, information-oriented cleantech companies. He currently serves on a number of boards including FundingCircle, doubleTwist, HouseTrip, Lehigh Technologies, MOO Print, Netvibes, Photobox, Redwood Systems, Stack Exchange and Weatherbill. Previously; Neil sponsored and served on the boards of Betfair (LSE:BET.L), Last.fm (CBS), Ofoto (Kodak), Trolltech (Nokia) Listen (Real Networks), Numerical Technologies (Synopsis) and Genmab (SDE: GNA) and Stepstone. Neil also sits on the board of Human Rights Watch and has also served on the board of U.C. Sampdoria, a football club competing in the Italian Serie A.
Rina Onur is the Co-Founder & CSO of Peak Games, the leading social gaming company of emerging markets. Onur co-founded Peak in October 2011 and raised $19m in VC funding from Earlybird and Hummingbird Ventures in a matter of eight months. Peak Games is among the top 10 social game developers on Facebook globally in terms of daily active users. Peak’s target is creating and publishing social games that fit the unique interests and cultures of emerging markets. Saul joined the London office Index as a Partner in February 2007. 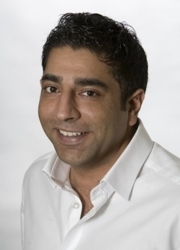 He currently serves on the boards of Alertme, Chartbeat, Erply, GlassesDirect, MyHeritage, Seedcamp, Songkick and Soluto. Saul brings over 15 years of experience successfully building and exiting companies in both the US and Europe as an entrepreneur, operator and seed investor. Most recently he was the co-founder and original CEO at what is now LOVEFiLM International (Amazon) and part of the original executive team at Skype (eBay). Saul loves working with seed and early stage companies and is a passionate believer that Europe is only scratching the surface in terms of its potential for entrepreneurs to create great startups. To support this vision, since 1999 he has been a Founding Partner of The Accelerator Group (TAG) and in 2007 he also started Seedcamp and OpenCoffee Club, which is now active in over 90 cities around the world. Shak is Head of Special Projects at Spotify, where he is personal advisor to founder and CEO Daniel Ek. He has had a number of online businesses in the UK since 2000 and was part of the founding team at buy.at which was acquired by AOL and recently founded CoinDesk, a Bitcoin news site. Shak has done extensive volunteer work as an ambassador for charity: water, having helped raise millions of dollars for clean and safe drinking water. He is also a keen supporter and friend of Pencils of Promise, who build schools for those most in need. Having lived in China, Shak speaks Chinese (as well as English, Urdu, Punjabi, and Danish) and currently divides his time between London, San Francisco, New York and airport lounges. 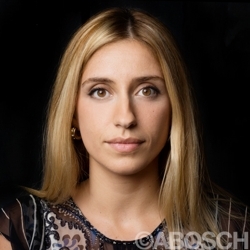 Shak is an investor in SecondMarket, Top10, BlackJet, Spotify, DueDil and Bitpay. Shak was also an investor and mentor to Nick D’Aloisio who built and sold Summly, a news curation app that was sold to Yahoo in March this year. In addition to onstage panel sessions and fireside chats, Disrupt will also welcome Startup Battlefield and Startup Alley to the Arena Berlin venue. The Startup Battlefield will select 30 brand new startups to launch on stage in front of a panel of top VCs and other founders, coverage on TechCrunch and the winner gets the €40,000 prize. We review applications on a rolling basis, so it’s to your advantage to submit as soon as you can. Due to strong demand, it’s unlikely that we will review applications more than once, so please don’t submit a draft application before you are ready. All submissions are confidential unless otherwise permitted by applicants on the application form. PowerPoint slides and video demos are optional but highly encouraged. We reserve the right not to review applications without video demos based on application volume. Extra Early Bird tickets are available for a limited time. Click here to purchase before they sell out.